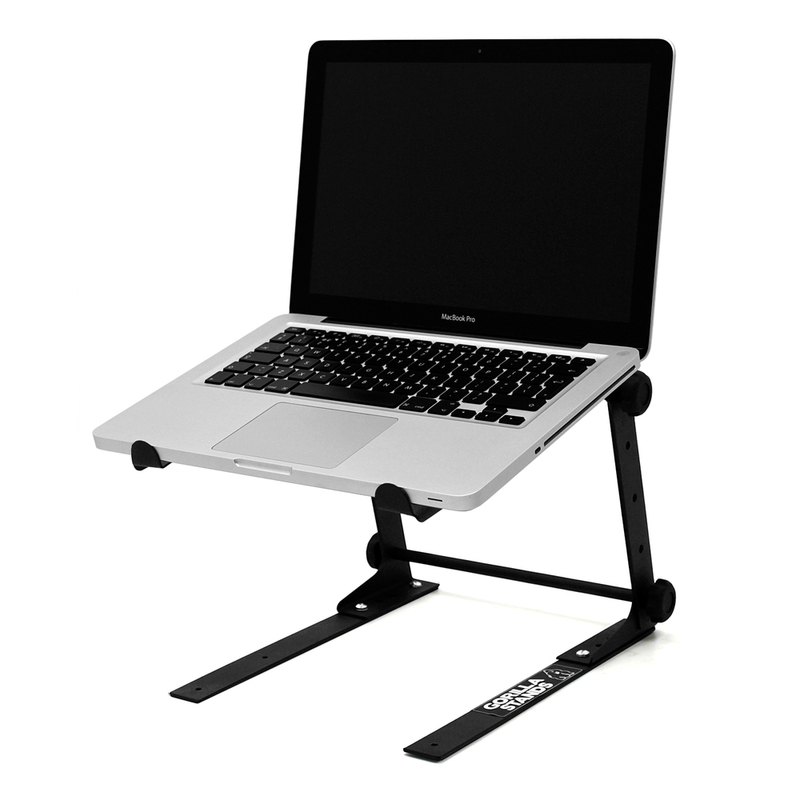 Gorilla GLS-01 is a high quality, adjustable laptop stand which is perfect for mobile DJs and other music professionals who use a laptop in their performances. GLS-01 is completely portable and can be assembled or broken down in seconds. GLS-01 is suitable for most models of laptops, notepads and netbooks upto 17" but can also be used to support effects units, some mixers and lighting controllers. 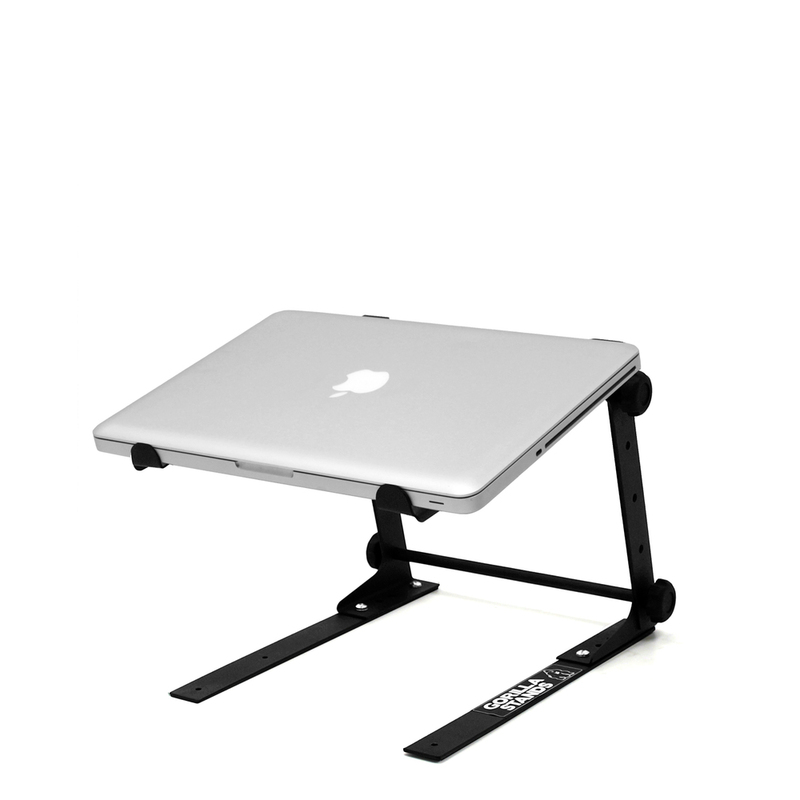 GLS-01 is height and width adjustable allowing it to be adapted to your setup and supporting your laptop at a height that best suits you. 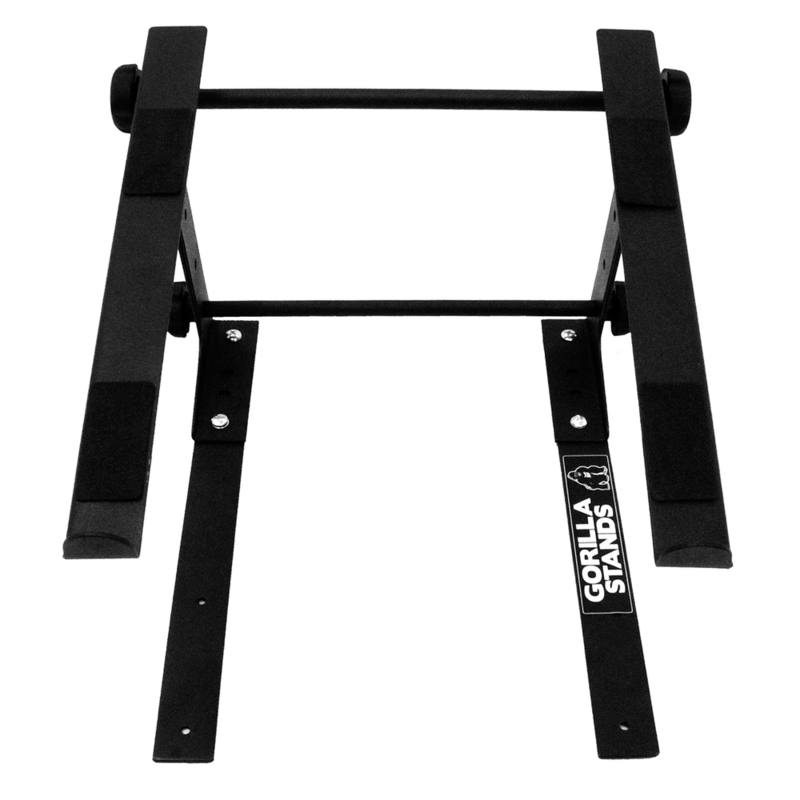 Here we have the Gorilla GLS-01 complete with a Lifetime warranty as standard. 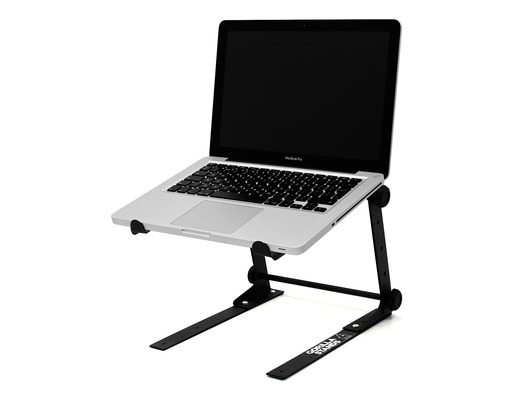 Buy the GLS-01 adjustable DJ laptop stand with confidence from the UK's largest official Gorilla Stands dealer with 100% satisfaction guaranteed or your money back. Put together in minutes . Really makes things easy as you can operate at the correct height to stop getting back ache! Great price too! Solid stand, c heap and came really quickly. Simple and easy to install. The best thing about this stand is that you free up lots of space underneath the laptop. The minimum hight is rather high though. Not super portable but amazing for the price. Very solid, good price, very quick delivery and very easy to put together. Solid & simple stand. No frills - nice minimal design. Exactly what I require. Great price too. Easy to construct with aid of short YouTube clip. 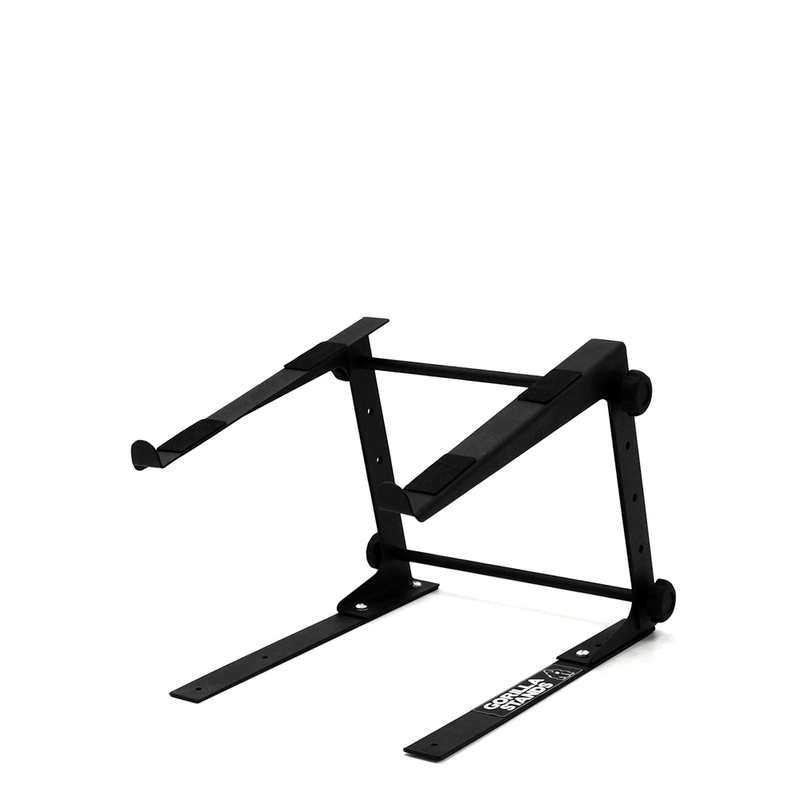 Great stand, nice and solid, good price, quick delivery. Arrived really quickly, no build instructions but can find video on YouTube. Great stand, solid and good design, would definitely recommend. Really happy with this stand! Fair price! Delivered within 2 days. Speedy, efficient despatch and delivery. Good value product. Great value for money, fast delivery and great service from getinthemix! Basic design, but good range of adjustment and solid construction. The flat feet make it ideal for use with a DJ controller. Really good, solid laptop stand. Quick delivery, very good price. Only gripe, no assembly instructions! Came really quickly and everything as advertised. Will definitley order again in future.